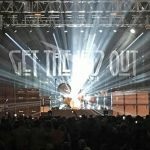 “Get the Led Out” comes to Paramount Theatre in Cedar Rapids! It’s a group of professional musicians who are passionate about their love of the music of Led Zeppelin. It’s been their mission to bring the studio recordings of “the mighty Zep” to life on the big concert stage. TICKETS ON SALE DATE: Friday March 29th at 10am.